The cause of Veenu death was a road accident. The mishap took place in Madhya Pradesh. The reason for her death was the skidding of her Harley bike near a road in Gyaraspur, 100 km from MP capital Bhopal. Paliwal was wearing and taking proper safety measures, but she succumbed to the injuries and doctors declared her dead when she was rushed to a hospital. Her body has been sent for post-mortem. Paliwal was on the nationwide tour with another biker Dipesh Tanwar. He accompanied her on the trip from Kashmir to Kanyakumari. She had many dreams and aspiration which she wanted to fulfill in her lifetime. One of her dreams was to make a documentary on her motorbike rides across the nation. She was popularly known as the Lady of Harley, 2016 and belonged to Rajasthan. Veenu’s journey till here was full of hurdles and difficulties as being a girl she was not openly allowed to ride bikes. 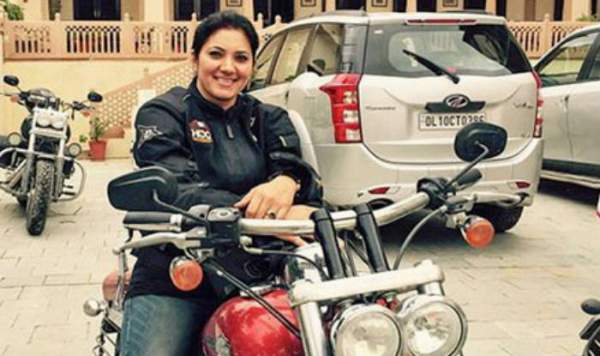 So, she had to fight prejudices and take action against social norms which didn’t want her to become a biker. Paliwal had a love and passion for bikes since her college days. After her marriage, her husband wanted her to leave the bikes, but she couldn’t. So, she divorced him and continued following her dreams. People are saddened by her sudden demise. Twitterati expressed their grief and remorse on the microblogging platform Twitter.